You practically have to be a hermit to not be aware of the ubiquitous nature of online video. With the ease of access to the Internet, billions of people watch videos of every conceivable type every day. And, what should spark a marketers interest, these same people constantly share them with their family members, friends, co-workers and colleagues using social media platforms. The wide variety of videos that are grabbing the attention of online viewers range from humorous and innocuous to substantial tutorials and customer reviews or case studies. What many of these videos have in common is that they are not always the result of "high-end" video production efforts. In fact, it is quite possible to create effective and powerful video using nothing more than a quality cell phone. But, regardless of whether you hire a studio to produce a slick series of marketing videos, or you simply sit down with your Android or IPhone and do it yourself, your video should have a clear purpose, be produced with good sound, lighting and visual quality, and have a great story. A bad video is no better than a bad blog post or bad graphic: if people stop watching and click away to something else, you haven't captured a lead or engaged a customer. And you've impacted your brand and that viewer's perception of it. YouTube is the second most visited website in the world, YouTube and it hosts 856 million site impressions per day. According to statistics from SproutSocial, 100 million hours of video content are watched on Facebook each day. In addition, over 10 billion videos are consumed by users of Snapchat daily. 70% of YouTube viewers watch videos for "help with a problem" they're having in their hobby, studies, or job. 43% of B2C marketers say pre-produced video is the most successful type of content for marketing purposes. Globally, YouTube is consumers' leading source of video content, at 83% (Facebook is second, at 67%). The statistics keep piling up and the global audience keeps growing. Video for inbound marketing really is an inescapable fact and, if you're not incorporating video in your marketing efforts yet, this is a great time to start. Did you know that sixty-four percent of consumers make a purchase after watching branded social videos? As per reports by HubSpot, 97% of marketers claim videos help them enhance user’s understanding of their product or service, 76% say it helps them increase sales while nearly 5 in 10 agree that implementing videos in their marketing efforts reduce support queries. 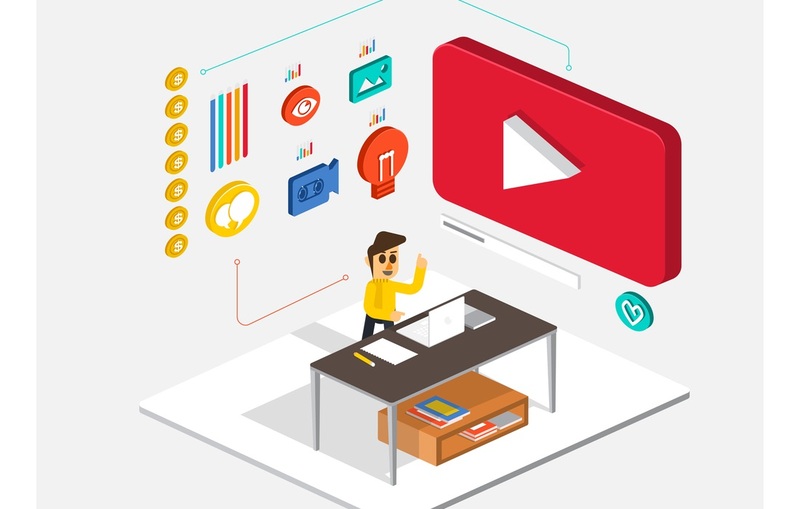 Simply put, videos are an essential part of marketing strategies for the year 2019. By 2019, it is predicted that videos will make up for 80% of internet traffic worldwide and 85% in the US. The purposes of your videos can run the gamut of launch announcements, new product promotion, explainer videos and tutorials, and customer testimonials. The style, length, purpose and structure that is possible with online video is practically endless. Ultimately, why and how you use video is going to depend largely on your brands marketing objectives and goals, and the demands of your target audience. In this infographic you will find an avalanche of statistics that illustrate the power of video marketing and why you really should take the leap with video for your own marketing efforts. These statistics, as well as others, both highlight and underscore the power and impact of video. What is also interesting to note is how video performs over different devices and platforms. Different formats of video can have varying degrees of impact, while others seem to significantly increase conversion. The bottom line here is that if you haven't taken the time to seriously consider video, or have been put off by fears that it's "too expensive" or "too difficult", then think again. Video can be both affordable and accessible, especially with the right inbound marketing partners to work with you along the way. Video should be a significant part of your inbound marketing strategy. And high-quality, relevant video content is one of the main keys to attracting and winning prospects and customers. Content can take on many other forms as well, such as blog posts, eBooks, white papers, email, slide decks, infographics, webinars, and even the pages on your website. However, the challenge for most business owners is in creating this never-ending need for fresh content. Then there is the additional challenge of determining how best to distribute and use that content to carry out an effective marketing strategy. Fortunately, you don't have to attempt this on your own! Your options for implementing a successful and affordable content marketing strategy also include finding a professional firm that can work with you to maximize your efforts. A qualified agency like BroadVision Marketing will develop a road map with an implementation time line, marketing milestones, and key deliverables. Using this road map we will create the framework and structure for us to work with you and help you to achieve your marketing goals. Get your Free Complimentary Inbound Marketing Session to help you make an informed decision or call BroadVision Marketing at 707-799-1238.